Productivity must not only be defined, it must be measured. “What you cannot measure, you cannot manage.” The worldwide economic crisis, diminishing natural resources, varying climate and high unemployment provide key signals to reshape economic growth in an integrated system’s approach to sustainability. social protection and natural ecosystems. By way of contrast, the green economy approach supports both growth and low carbon change by reducing emissions and conserving stocks in the short term to profit from their improved state in the future. of goods and services that result in improved human well-being over the long term, while not exposing future generations to signify cant environmental risks or ecological scarcities”. This suggests the split of resource use and environmental impacts from economic growth. that contribute substantially to preserving or restoring environmental quality. Entrepreneurial activities that focus on ecological outcomes playing an imperative role that speak to both social and economic challenges associated with climate change is also known as green entrepreneurship. 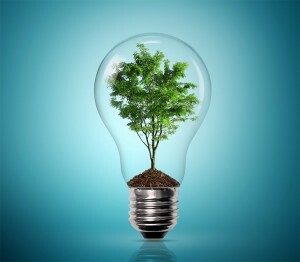 By its very nature, green entrepreneurial activities don’t follow the traditional business models that mostly focus on profitability and growth but tend to focus on emerging business principles that promote innovative forms of ownership, supply and delivery of goods or services. Provide green products and services. Provide opportunities for youth and gender. By implementing an integrated approach across sectors, the South African green economy modelling process studied the theory that a. correct management of natural resources does not necessarily suggest accepting lower economic growth going forward. It instead looked at the question of whether equal or higher growth could be achieved with a more sustainable, equitable and stronger economy, in which natural resources would be well preserved through more efficient use. By way of contrast, the green economy approach supports both growth and low carbon change by reducing emissions and conserving stocks in the short term to profit from their improved state in the future. The impact on the green economy will be seen from an environmental, social and economic spheres. The two allied developmental outcomes for the South African economy are growing economic activity in the green industry see tor through entrepreneurship and innovation and a shift in the economy as a whole towards cleaner industries and sectors. So as Thomas Edison said: “There is a way to do it better”- now, let’s find it. Bongani Coka is the CEO of Productivity SA.